If you or a loved one has a child who was injured before, during, or after birth due to the negligence or incompetence of a medical professional, we can help. At Owens Moss, PLLC, we recognize the delicate nature of these types of situations and handle all legal matters so our clients can concentrate on healing. We explore all angles of your case to determine who is liable for your child's injury and fight for the compensation you deserve for medical care, emotional suffering, and more. 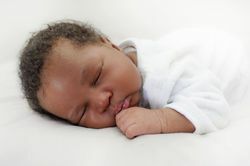 Contact a birth injury attorney at our Jackson, MS, firm today. These incidents can cause birth injuries ranging from mild to severe. Our attorneys will thoroughly explore the nature of your child's birth injury and the events that contributed to it. This will help determine liable parties and hold them responsible. Cerebral Palsy - Cerebral palsy results when the portion of the brain that controls motor function is damaged during birth. Cerebral palsy can result in mild to severe mobility complications, and can also affect speech and cognition. While cerebral palsy does not worsen over time, in many cases, it requires a lifetime of specialized medical care. Erb's Palsy - Erb's palsy develops when the nerves surrounding a baby's shoulder, known as the brachial plexus, are injured during childbirth. This condition results in weakness or loss of function of one or both of a child's arms. Fractures - Fractures can occur from improper use of force during labor. The most common type affects the collar bones, although other fractures have been known to occur. Facial Paralysis - Facial paralysis results from excessive force on a baby's face during childbirth. Some paralysis cases correct themselves naturally, while others require surgical treatment. Perinatal Asphyxia - Perinatal asphyxia means a baby temporarily does not receive enough oxygen during birth. This can occur because of insufficient blood flow to the fetus that is not resolved quickly enough. Brain Hemorrhage - Hemorrhage describes excessive bleeding that results from trauma. When it occurs beneath the skull or within the tissues of the brain, hemorrhage can become very dangerous. While some tissues may not receive the oxygen-rich blood they require, others can be subjected to excessive pressure. Brain hemorrhage can result in a wide range of injuries, some of which last for life. If your baby has been diagnosed with a birth injury, or you suspect negligence or error on the part of medical staff, we strongly encourage you to begin and continue medical treatment as soon as possible. If your family has suffered as the result of a birth injury, our team will fight to receive the compensation you deserve. To learn more about Owens Moss, contact us today.